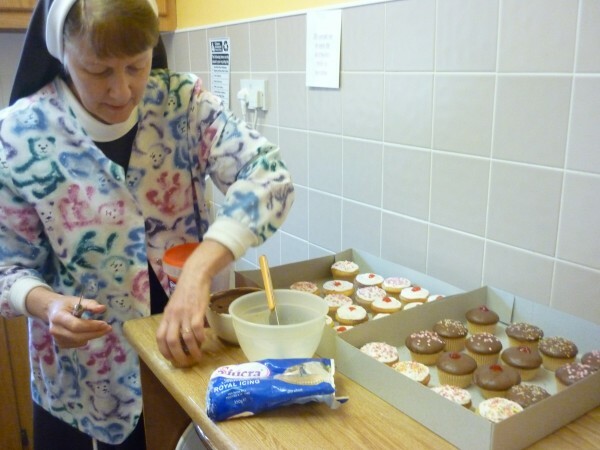 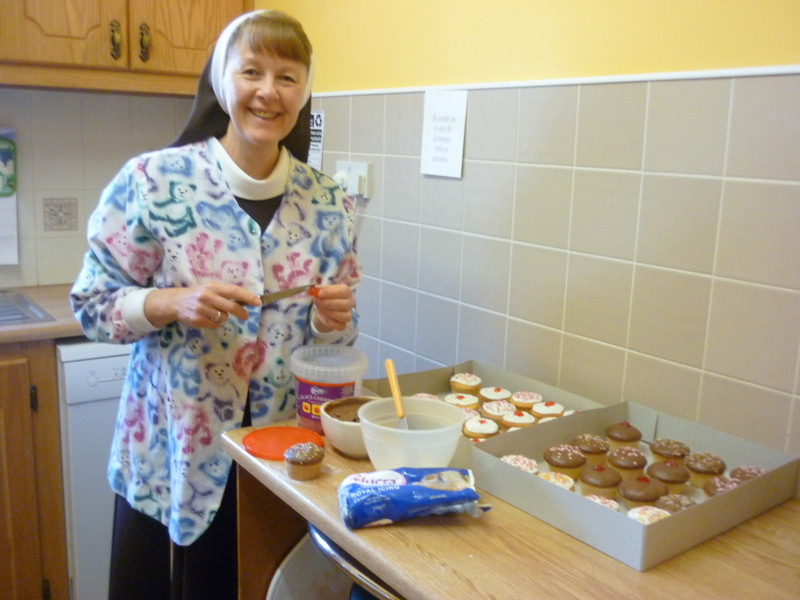 Sr. Regina, icing some ‘buns’ in preparation for her feast day on August 22nd, feast of the Queenship of Our Lady. It is a very special occasion in the Ennis Monastery, as the convent is under the name and protection of Our Lady, Queen of the Universe. The feast is celebrated with special solemnity.